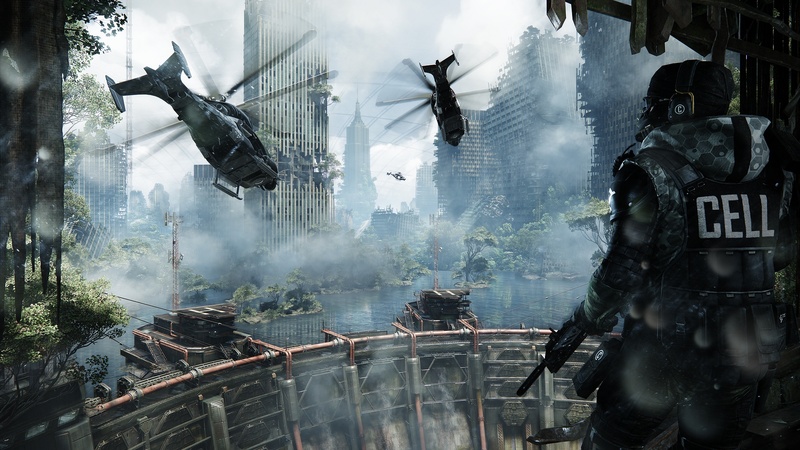 Last year's Crysis 2 was easily one of my favorite shooters from last year, so when I heard that we'd be getting another chance to try out the highly flexible, super-powered soldier game at E3, well, I was first in line. The upcoming sequel, due out next February, was every bit as enjoyable as the previous game, and even threw a few surprises my way to keep things from being too predictable. This time around players take on the role of Prophet. 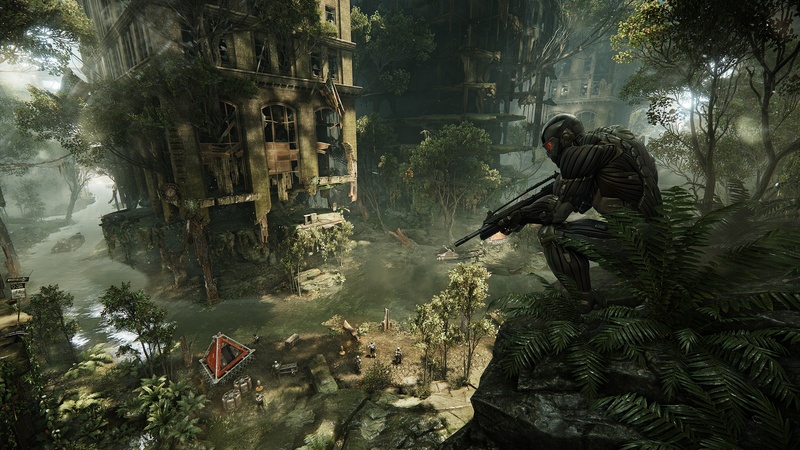 25 years after the events of the last game, Prophet finds himself hunting the Ceph through the overgrown ruins of New York City. 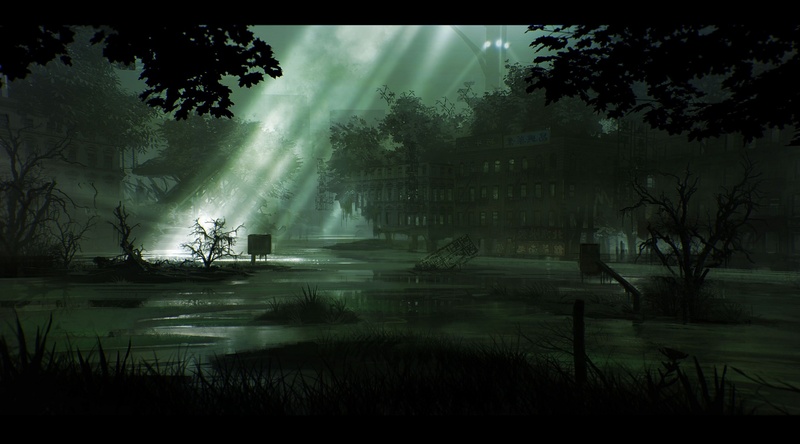 The city's been covered by a dome to help contain the Ceph threat, and a new nanotechnology is being used to purify the pollution in the air. 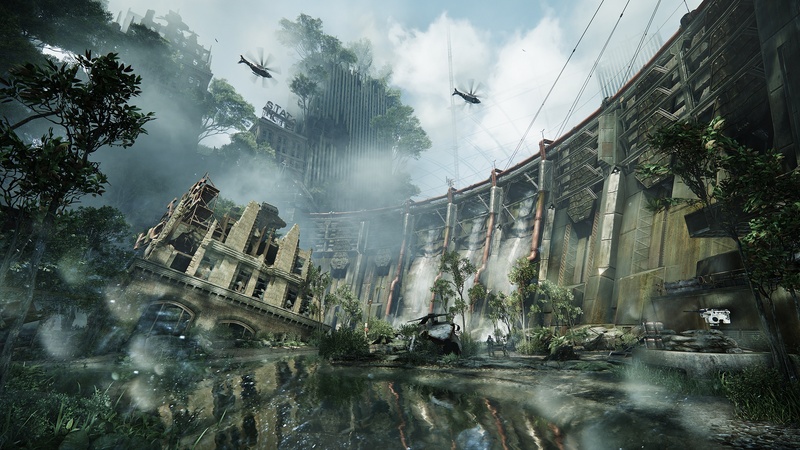 The byproduct of this nanotech is that city has slowly become a sort of urban rainforest, with massive trees and jungles growing in and around the City's once familiar landmarks. Prophet escapes from an alien prison right at the start of the game and then decides it's time for a bit of payback. In the Dam Busters demo we played, Prophet makes use of the nanosuit from the previous games. The suit allows him to adapt his abilities to the situation at hand. Maybe he wants to be sneaky to get past some heavily armed guards, or maybe he wants to boost his armor and go in guns blazing. Or maybe he just wants to trust in the speed and maneuverability of the suit to get him where he needs to be at any moment. Of course, there are some new toys to play with as well. 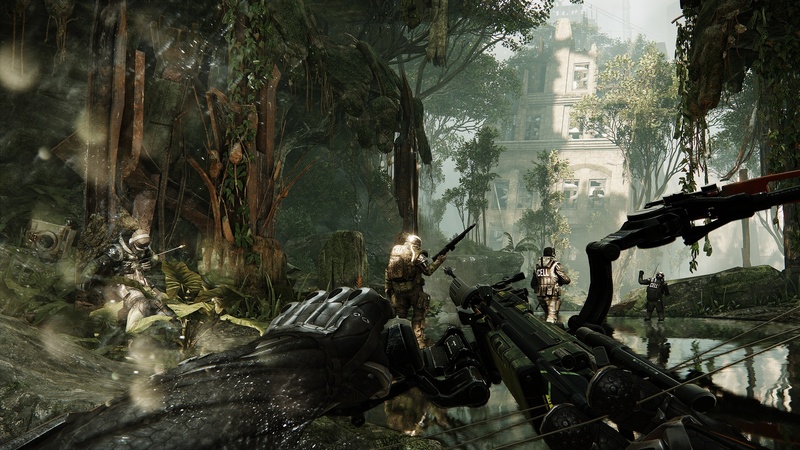 My favorite is the new compound bow. This really ramps up my view of Prophet as a sort of urban hunter, leaping from building to building and going into stealth mode to line up the perfect kill shot on a nearby alien. The best part about the bow is that it doesn't break stealth when you use it, so you can really do some serious damage up close and personal without ever really tipping off the enemies. A range of inventive arrow types, from explosive to electrical, give you even more options to tackle the challenge in front of you. The nanosuit has also been upgraded with Ceph technology, which means you'll have a chance to finally pick up and use some of the cooler alien weapons you stumble upon in the game. Being able to turn the enemies' weapons back on them is almost as fun as taking them out with the bow. 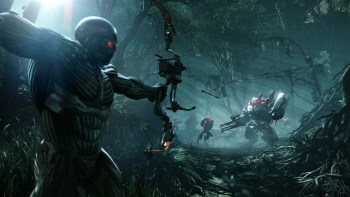 Crysis 3 is due out next spring for Xbox 360, PS3, and PC. Be sure to stay tuned to The Escapist for even more coverage.